Should Animation be Taught in the Classroom? Look at any school curriculum and there’s an emphasis on english, maths, and science. 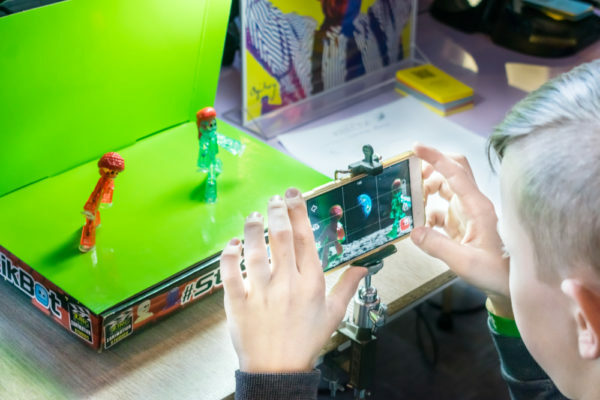 Academic subjects are still considered to be the priority, but could we soon see skills like animation being taught in the classroom? Animation is a great way of bringing concepts to life, without the risk or the expense. Do you want to show children how a particular science experiment works without risking an explosion, or do you want them to be able to see what the solar system looks like? This is possible with animation. Learning in this way also engages children more than learning concepts from a textbook. Not every child is going to be good at putting their thoughts down on paper, so animation can be a great way to communicate stories and ideas in a creative way. It’s a really useful tool for children who are dyslexic or who find spelling and grammar difficult, as all they have to focus on is using animation to create a story. When learning animation, children learn how to work together and they can share their creations with others. Animation gives children the chance to express themselves without the need for them to be a mini Picasso! With animation, children can create scenes and stories with pre-drawn characters, so there’s no real need for artistic ability. There are many simple animation tools around, but there are also tools for older children that are a bit more complicated. Some tools use algebra and other mathematical concepts to create animations which help children learn more advanced technical and computer skills. Animations can be used to make presentations far more engaging. No more death by PowerPoint in class! Children can learn to make slide shows and more when putting their presentations together, so it will be far less likely that their classmates will be nodding off! Learning how to put together effective and engaging presentations is a great skill to have for the future, whether for higher education or in the world of work.